All motorists, homeowners and others should check their insurance policies regularly to see whether their insurance coverage is in conformity with their lives and whether they are adequately protected. This post will spotlight two cases out of Rhode Island in which the RI Courts determined that a person had no insurance coverage insuring a particular loss despite the fact that the consumer had purchased insurance. Both of these cases are cautionary tales for consumers. All consumers, motorists and homeowners must make sure all property, vehicles and businesses activities that they engage in are covered under applicable policies. Ask questions now about what is covered and what is not covered. Actually read your insurance policy or retain a personal injury attorney to review it and advise you. Decision of Rhode Island Supreme Court: The RI Supreme Court determined that the insurance policy was not ambiguous and that “Rhode Island’s uninsured motorist law, did not preclude an insurer’s ability to confine uninsured motorist coverage to those vehicles owned by an insured which are actually covered under the policy.” Id. The Takeaway: Make sure that all motor vehicles, cars and motorcycles that you own are covered by applicable insurance policies that you have, including coverage for uninsured and underinsured motorist coverage. Important facts: Homeowner was babysitting friend’s 18 month old child for a fee of $25 a day. Homeowner had watched the child for many months charging a fee. Babysitter also regularly took care of three other minor children on the property. The toddler was left unattended momentarily and fell into a Koi pond on the property and drowned. DECISION: RI Superior Court determined that there was no insurance coverage as a result of business exclusion in the homeowner’s insurance policy. The Takeway: If you are engaged in any business activities such as a daycare operation on property you own, obtain proper endorsements of your insurance to cover the type of commercial activities you are engaging in. Judge Stern very clearly and succinctly stated the takeaway of this tragic Rhode Island fatal child accident: “On the other hand, the average homeowner does not sit down and review all of the provisions and exclusions in his/her homeowner’s policy. Many homeowners may incorrectly assume that providing babysitting services either at their home or at the child’s home is covered under the policy. Unfortunately, it is not until a tragic event, such as this, that the homeowner realizes that this activity was not covered. 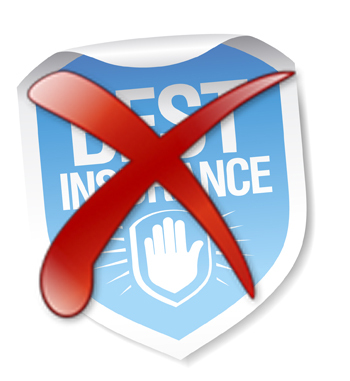 Unfortunately for the homeowner, the fact that they did not review the coverage and/or exclusions in their insurance policy is not a justification for a Court to determine that there is coverage when, in fact, none exists under the policy.”’’ Id. “Until then, this Decision should serve as a “wake up call” to babysitters and the parents of the children in their care.” Id. Post Authored by RI Personal Injury Lawyer David Slepkow 401-437-1100. More information about David here .